Sometimes people will contact me wanting to license one of my designs (or a part of them) for a tattoo, which is pretty cool. 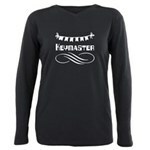 And it’s even cooler when they send me a photo of the finished ink! 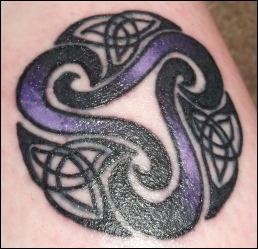 Here you can see my original green design on the left, and the adaptation that Charity had tattooed, in purple. (Image posted with permission.) Looks awesome, Charity!! 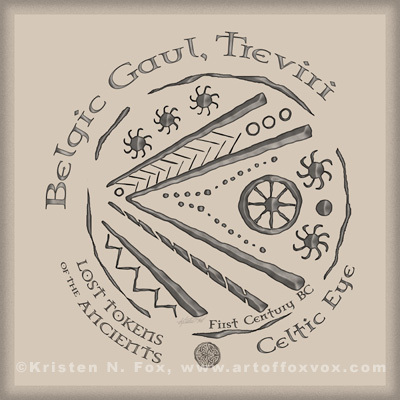 In any case, this design is from the Gaulic Treviri tribe who lived in SE Belgium in the 2nd or 1st Century BC. 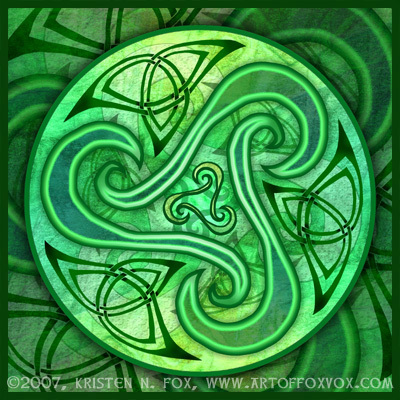 Fine Art Prints of the Celtic Eye design are also available via our gallery at Imagekind, as well as the entire series. Click here to see the coin options like canvas prints, framed and matted, and more! 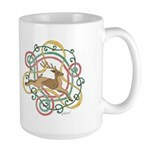 A new holiday design – Celtic Reindeer Knots – for the holidays! 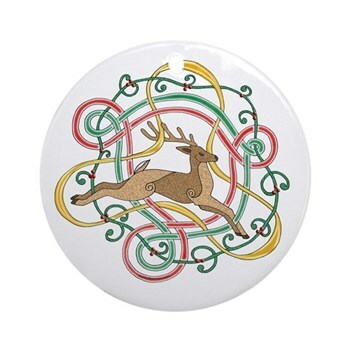 Just a single reindeer (no red-nose – sorry – LOL) leaping through Celtic knotwork, ribbons, and garland. 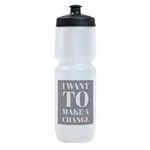 Just click on any of the above samples to see all of the available products. And here are some holiday coupon savings for you too: through 12/08, you can 10% off orders over $40 in my Art of FoxVox Shop – use Coupon Code TDEC1140 at checkout! Happy Holidays! A dawning of a new Celtic day! 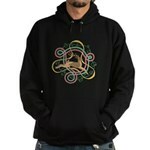 This original Art of FoxVox creation features symbolism of a sunrise made from yellow-golden-red hues of Celtic knotwork (including pictish patterns) and spirals eminating from the center, where a Phoenix/Firebird has arisen from its ashes. 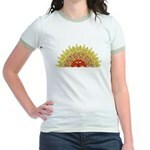 Click here or on any Celtic Dawn product below to browse all products with this design. 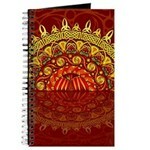 Fine Art Prints of Celtic Dawn are also available and have a dark red background with a hint of Damask patterning and a reflected image on the bottom half – check it out: Click here for print and zoom image of design. And thanks for looking! New Canvas Bags at Art of FoxVox! Comments Off on New Canvas Bags at Art of FoxVox! I’ve just recently added three new kinds of canvas bags to my Art of FoxVox Shop! The three styles are Sack Packs, Field Bags, Messenger Bags, and they come in natural khaki (shown in the picture) as well as a cheerful yellow, have antique brass hardware, and are enzyme-washed for a vintage look. 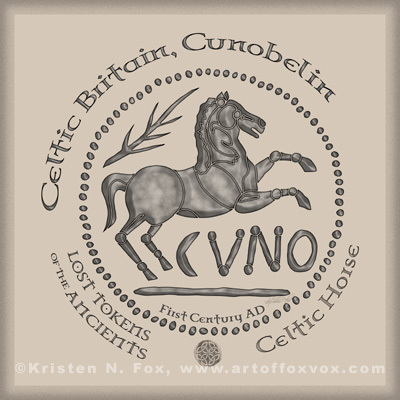 You can find them on just about any design in my shop: Celtic, Fine Art, Humorous, Zodiac, Runes, etc. etc. Just click here to browse for the designs you like in the shop, and then choose the bag you like best from among the related products. The bag dimensions are listed on their product pages so you’ll know what can fit in it, like laptops and stuff. Thanks for looking!